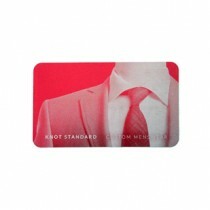 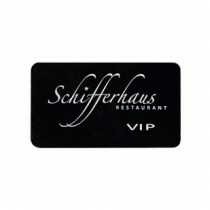 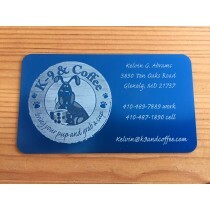 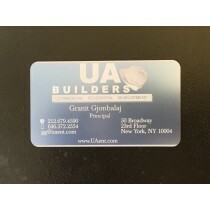 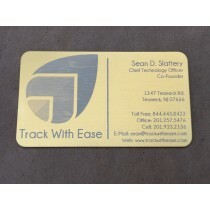 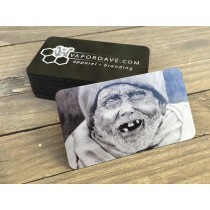 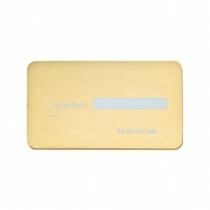 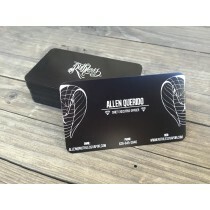 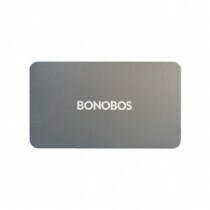 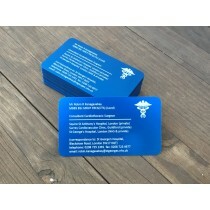 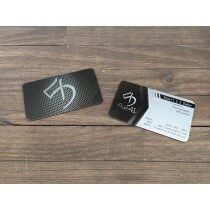 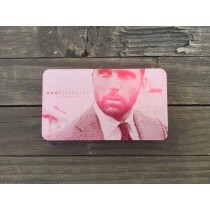 Our thin metal cards are sleek and fully anodized aluminum (colored), even the edges. 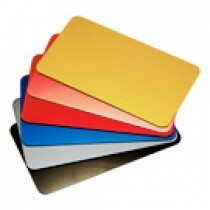 We stock many colors to provide your order as quickly as possible. 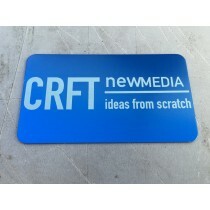 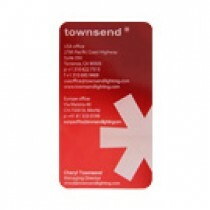 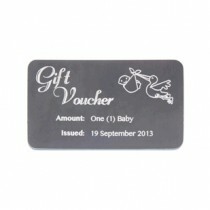 Razor thin and super strong, metal is a leading modern material for business promotion. 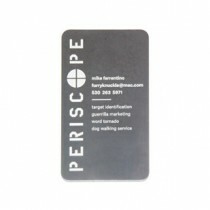 Revive a tired card by printing in metal. 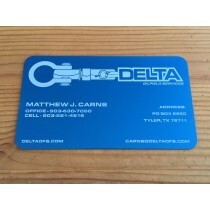 This metal card is laser etched. 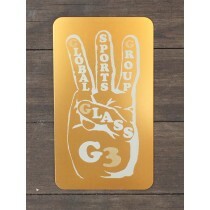 The etching process removes the color in areas of your text or design to reveal the aluminum finish with a matte effect which is tactile. 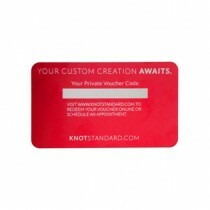 We offer custom cards in a variety of materials including teak, alder, birch and basswood. 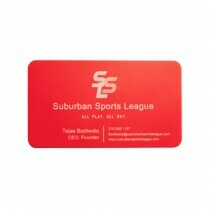 Upload your design easily using one of our standard size card templates. 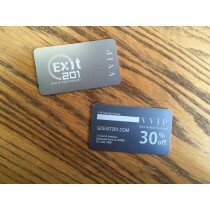 Feel free to contact us at info@studioeqdesign.com or 310.305.1734 with any questions.